Tap into data from smart, connected products to develop accurate part demand forecasts and establish a proactive, smarter service supply chain. Analyzes mileage, hours-in-operation, and other utilization data to forecast future asset activity. Predicts equipment failure rates to forecast parts demand. Adjusts stocking plans based on parts forecasts, service-level goals, budgetary restrictions, supply chain resources, and other parameters. 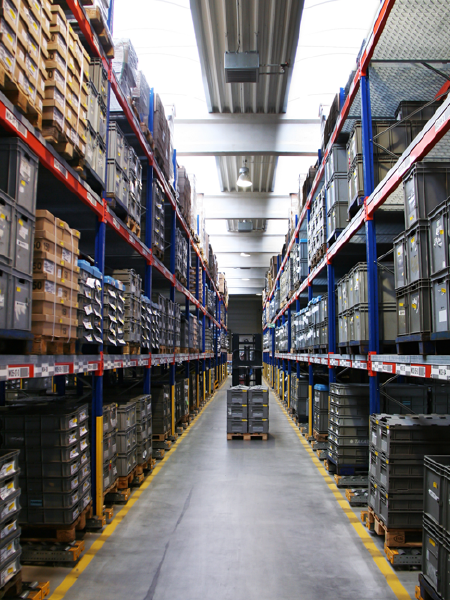 With the IoT, parts demand forecasts are no longer just guesstimates. They’re reliable indications of which parts you’ll need, in what quantity, and at which locations. Develops causal forecasts based on equipment population and utilization data. Enables companies to accurately track and plan for life-limited parts removals. Proactively adjusts inventory to reflect changes across the install base. Learn how applying predictive analytics to IoT data allows organizations to reduce service parts inventories. Discover the advantages of combining IoT data with maintenance information to develop accurate, reliable parts forecasts. This white paper from Aviation week explores how COTS software is helping Qantas, the U.S. Air Force, and other organizations increase aircraft readiness. Understand how Connected Service Parts Management works and how your organization can prepare for an IoT-driven service parts optimization program. Speak with one of our experts to learn how PTC’s Connected Service Parts Management solution can drastically improve your parts forecast accuracy.